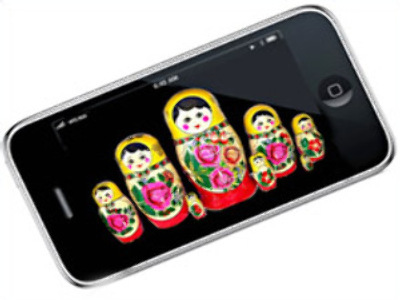 The iPhone 3G went on sale in Russia on Friday – officially bringing the smartphone to the market. Until now, users in Russia have had to purchase grey market phones or buy abroad and have them unlocked. The country's big 3 mobile carriers – MTS, MegaFon, and Vimpelcom – all reached agreements with Apple, and the device is also being sold in electronics retail shops across the country. Without a contract, the 8 gigabyte model retails for $900 dollars, the 16 gigabyte for more than $1000 dollars. Discounts of up to 50% are available with contract-style plans offered by the operators. Vimpelcom's VP for Marketing and Sales, Kent McNeley, says this could be the beginning of an era of subscriber plans – replacing pay-as-you-go, which is mainstream in Russia.